Australia, a diverse country. Grade 5. 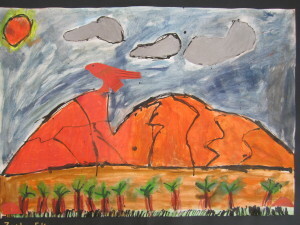 Grade 5 have spent the past few weeks creating mixed media landscapes based on photos of Australian scenes. 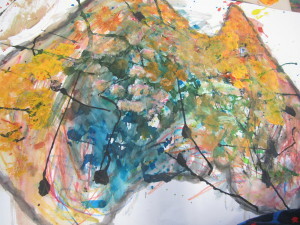 Students started with black ink applying it with sticks to get a freedom to their work. 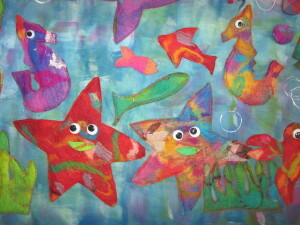 Next they painted with watercolour paints and finally added oil pastel and collage papers. Author Jan LiesfieldPosted on March 1, 2016 Leave a comment on Australia, a diverse country. Grade 5. 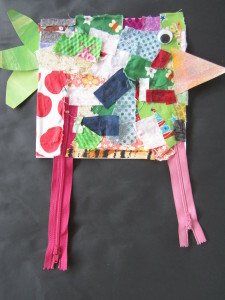 Prep O made beautiful birds today with zipper legs. 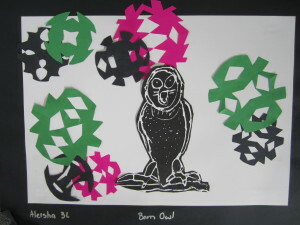 Great work for fine motor development, improving cutting skills and using pva! 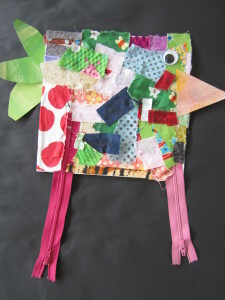 These birds will be finding a home around the school. There will be more birds joining them soon. 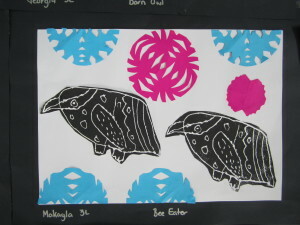 Here are a few more lovely artworks by grade 3. 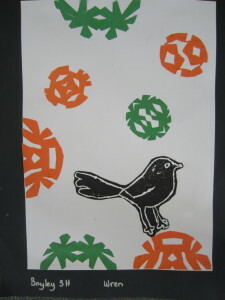 Grade 3 students created gorgeous art based on the work of New Zealand print maker Annie Sandano. Annie works with wood to produce her detailed printing blocks. We pressed our designs of Australian birds into foam and then printed them. 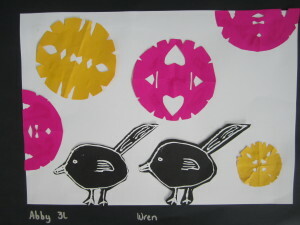 The students then created lovely geometric patterns with paper cutting to make the floral designs that surround the birds. 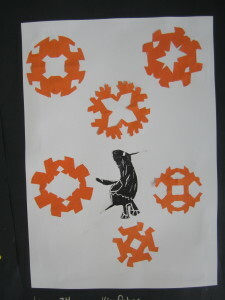 Here a few examples but all the work was terrific. Check them out on display at school. 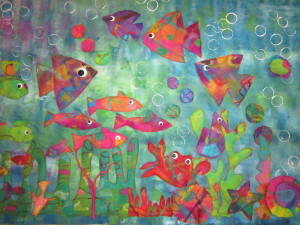 One of Annie’s original prints. 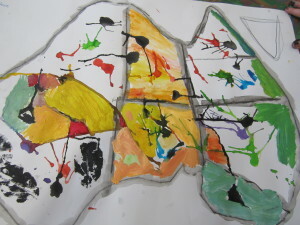 6M have added more colour to their maps with some exciting results. You really need to let the art work take you along for the journey. 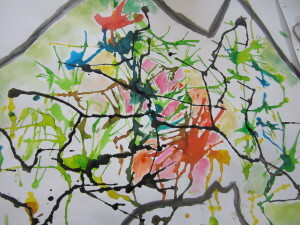 We still need to add drawings and collage to make each map individual and show their ideas about Australia. Students suggested sporting places, animals, plants and places they have been. Adding words and even the flag would work well. Author Jan LiesfieldPosted on February 23, 2016 Leave a comment on More maps. 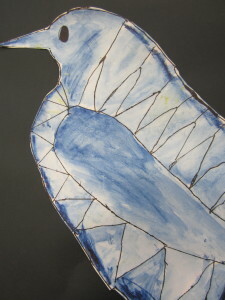 Grade 4 have been working hard on their beautiful Australian birds. 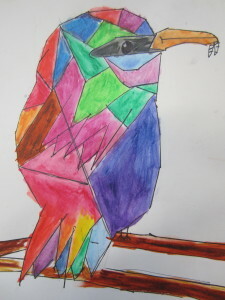 We started by sketching up the chosen bird and then using a ruler to make straight lines and sharp corners- lots of geometry in this art project. 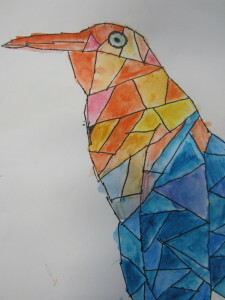 Next the students added line work to their birds and used water colour pencils to add colour. 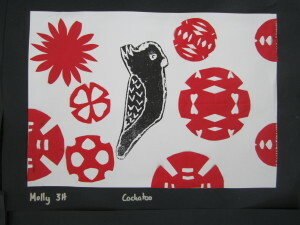 Here are a few lovely works, some finished others almost done. 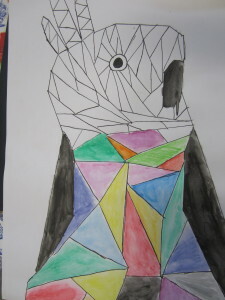 Students were asked to think about their colour combinations. A rainbow of colours or a limited palette. All effective and all beautiful. Perhaps a few budding graphic artists! 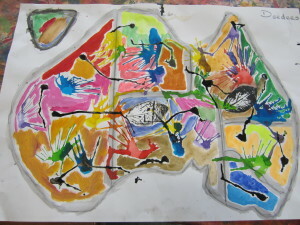 Grade 6 students have been creating a mixed media map of Australia. 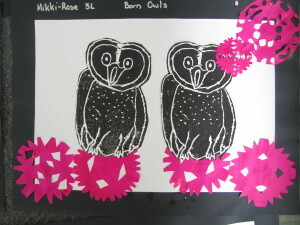 We started with water soluble graphite pencil followed by dyes and ink. 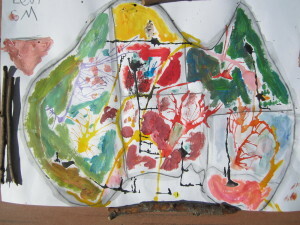 Next session was adding their choices of paint, water pencil, water paints, frottage and collage. 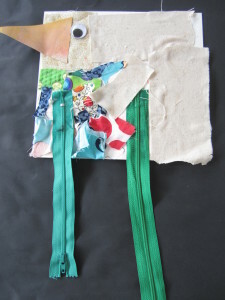 Hooray we have an art blog! 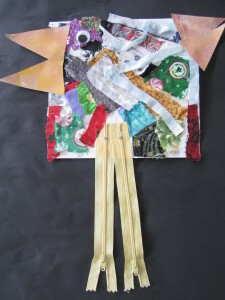 It is very exciting to have our own art blog where we can show all the amazing art created by the students at Meps. 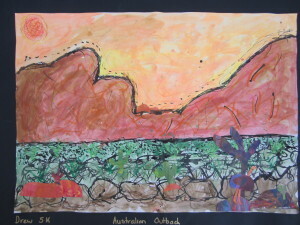 We have started the year with ‘Australia’ as our overall theme. 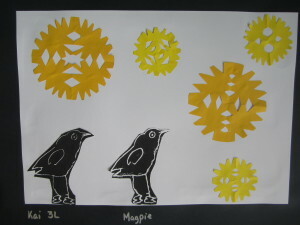 Preps have been looking at the primary colours and creating art based on the wattle, waratah and royal blue bell. 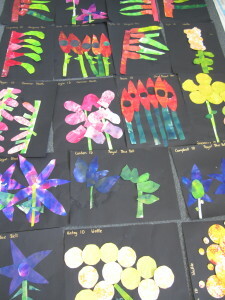 Grade 1 and 2 have also looked at the flower emblems from around Australia and the collages they made are beautiful. the first week was all paint, rollers, bubble wrap and paint brushes! 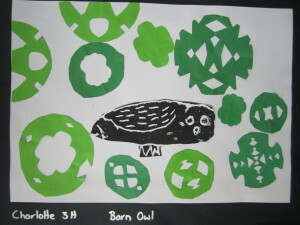 Grade 3 and 4 have been looking at Australian birds but using different techniques. 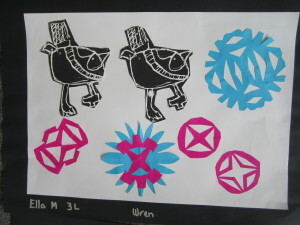 Grade 3 were inspired by the art of NZ artist Annie Sandano and produced delightful bird prints and grade 4 have been using all their graphic art skills to create stunning birds with geometric shapes. 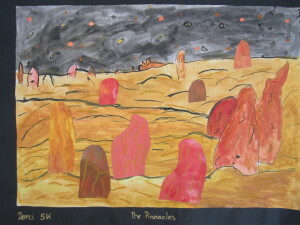 Grade 5 have used the Australian landscape to create a mixed media artwork with ink, water paints and collage. grade 6 on the other hand have thrown caution to the wind and are using all their knowledge and skills to make a map of Australia with a hint of John Wolseley (Australian artist) about it. 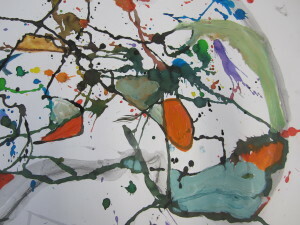 they have included ink, dye, paint, water colour paint and pencils, frottage and collage!! 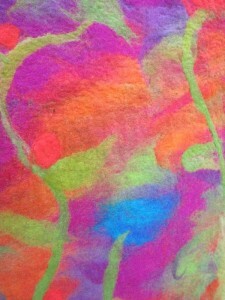 The teachers even tried their hand at creating some art during the first 3 curriculum days and made felt. 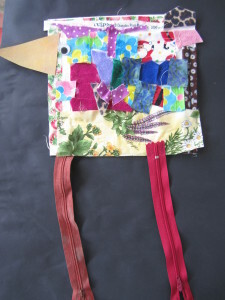 The final piece will be on display soon we are just waiting for a stretcher frame to be made. It looks amazing. 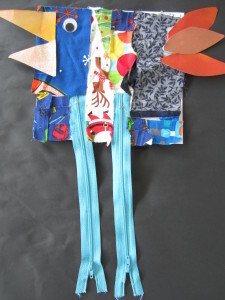 Author Jan LiesfieldPosted on February 16, 2016 February 18, 2016 Leave a comment on Hooray we have an art blog! 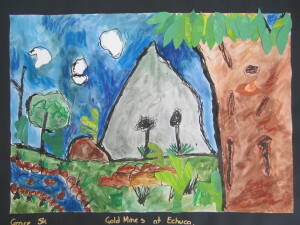 This is a new website dedicated to art at Mooroolbark East Primary School.